The preparations for the Out of Bounds Weekend on June 5th-8th are already running. 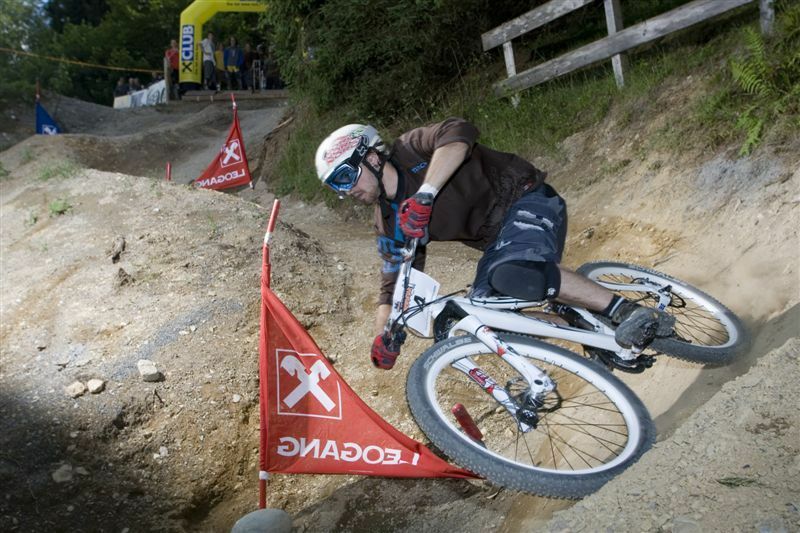 Since 2004, Leogang has been looking forward to having many pro riders and bike fans spend an exciting weekend full of adrenaline in the midst of the Austrian Alps. This year the 26TRIX dirt jump contest will be again the most spectacular highlight of the weekend. But also the Kona Top 2 Bottom Terminator dual slalom will take place and, of course there will be lots more going on outside of the racetrack. The Out of Bounds Weekend has become an institution within the European bike summer. 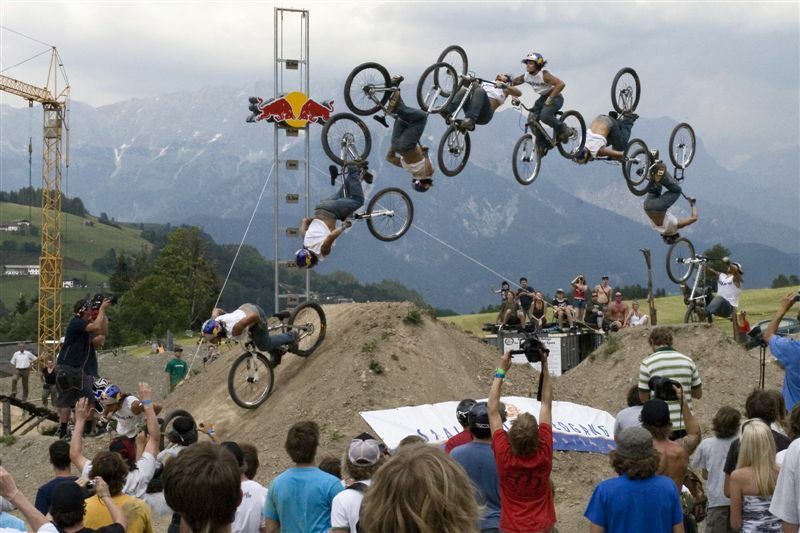 The world’s best dirt jumpers are expected to show up on the foot of the Bikepark Leogang to join the 26TRIX competition. Last year’s winners can proof that fact. 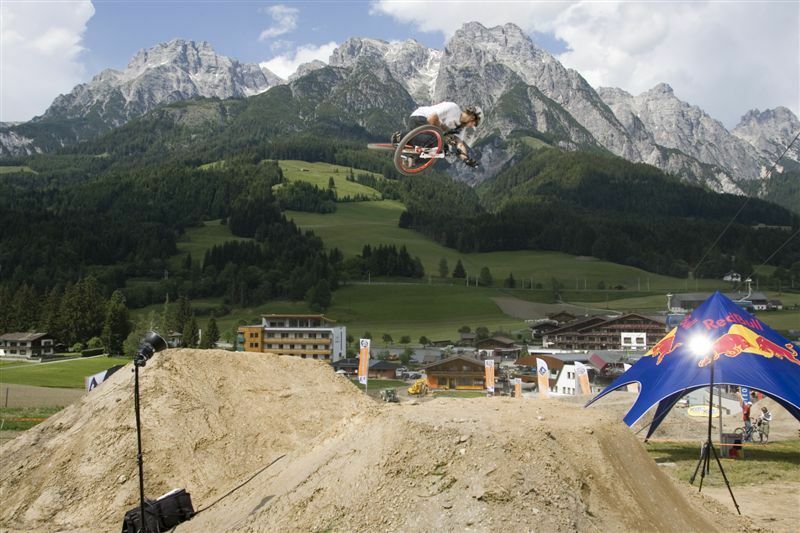 Andreu Lacondeguy, the young Spanish wildman, became 2nd landing a double backflip. So you can imagine which great style and flow made Jamie Goldman from the US winning the grand final 2007. This year’s Oakley Sick O Award will be given to the one with the best skills and most props on top. But the Out of Bounds Weekend is not about the freeride mountain bike elite only. 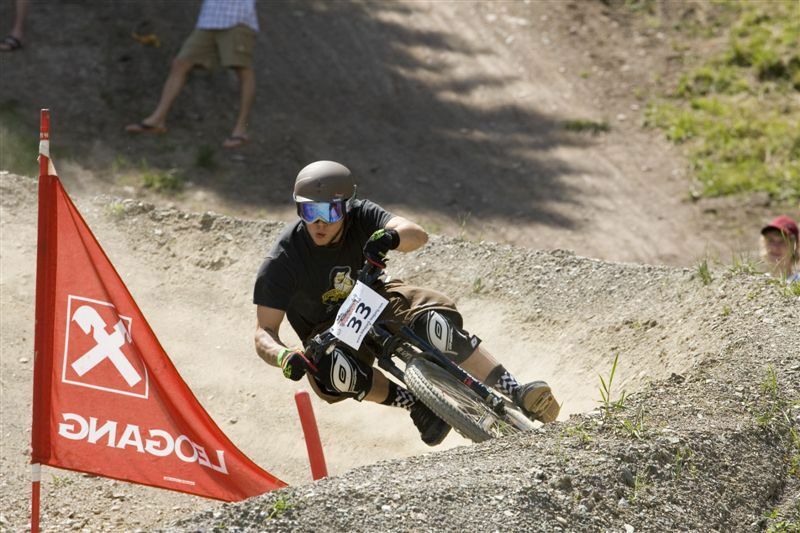 All enthusiastic riders are invited to sign up for the Kona Top 2 Bottom Terminator – a thrilling dual slalom for everybody like you and me – on the website of the Bikepark Leogang ( www.bikepark-leogang.com ). Be sure, the HU Cooperation aka “The Leo Gangsters” will please the participants as well as the audience with a beautifully shaped course for the Kona Top 2 Bottom Terminator. After an all day long training for the Kona Top 2 Bottom Terminator on Thursday as well as some fixed training times for it on Friday forenoon and the qualifications of the 26TRIX in the afternoon, the Friday evening will end with a chilled BBQ with all the riders. The Bunny Hop contest during the BBQ will be a lot of fun as well. After the qualifying of the Kona Top 2 Bottom Terminator and the grand final of the 26TRIX on Saturday, a big party is about to happen: the legendary DeBuam party (featured by Kona), which has been among the party highlights of the entire region in the last few years and has kept the visitors up until the early morning hours. But some of the riders should not forget the finals of the Kona Top 2 Bottom Terminator on Sunday midday. In between all those agenda points, an EXPO area will show the newest stuff from the best brands within the bike sport. Again for 2008, the Out of Bounds promises a weekend full of action. Everyone who was bummed to have missed last year’s very successful issue number 4, should definitely mark this weekend in their calendar.